Many customers do not utilize email or may simply want to keep their identity private. Thus, many store owners create a false email address for the customer to use. One issue that often arises out of this is keeping them all straight. Although customer records are now allowed to have the same email address as another, if something goes wrong, the orders can get mixed up and cause plenty of confusion. Now, you have the power to generate a safe email address that is easily distinguishable from legitimate addresses and ensures that it is always unique. 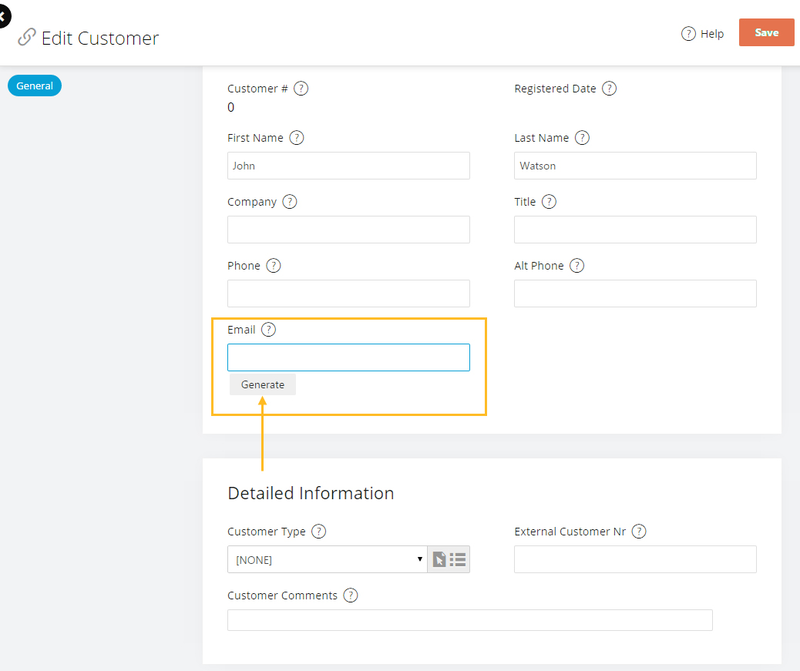 To generate this email address, navigate to People > Customers > New or Edit Customer from the admin console. Next to the Email field for the customer, is a "Generate" button. 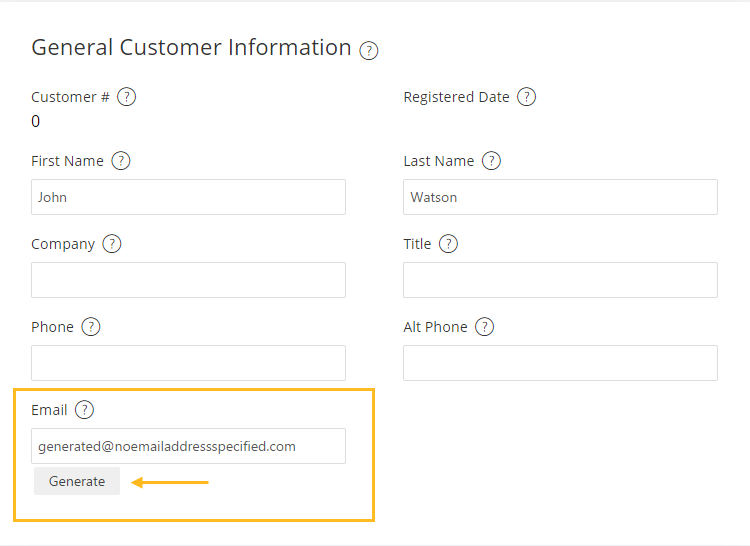 Clicking this button will generate this customer's unique email address. Ricardo - As far as I can tell, this setting no longer exists. I don't know what's happening if a customer places an order without an email address now.. Perhaps I should test. I do know that we don't see as many bounces as we used to. the system doesn't allow you to place a manual order without email address, the order page has this button to auto-generate, I wrote to support last week and they stated that the domain name cannot be modified... which is... silly. At least they should make a change internally that any emails that have the domain name that is automatically generated, ALL email templates should ignore and don't send notifications. Doesn't make sense to send emails to a domain that they know for sure it does not exist and will bounce.